The fields behind our house are a veritable forager’s dream. Last weekend we spent all day Saturday enjoying the prolonged Indian summer we’ve been having in Rome this October. 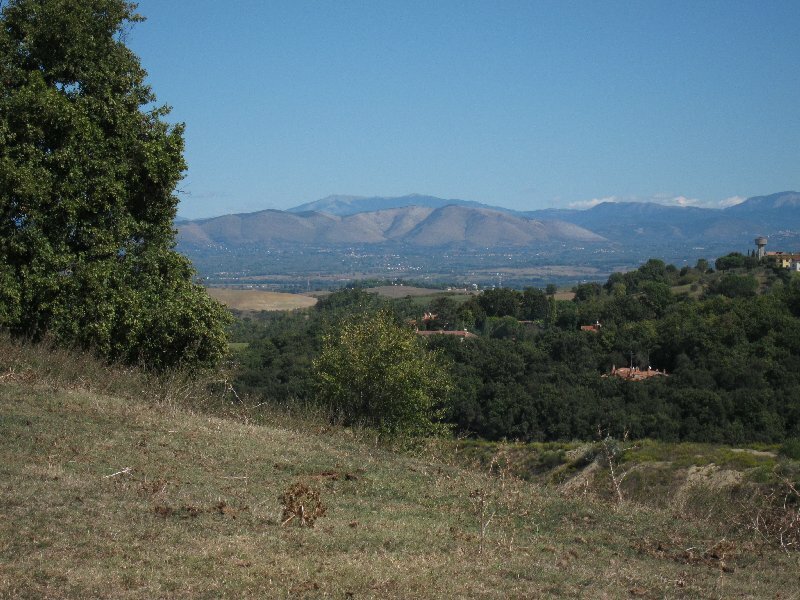 As we walked along we managed to pick a variety of greens for a misticanza salad. We also picked bunches and bunches of wild spinach which I used to make wild spinach pappardelle. We used the very last of our cherry tomatoes for the sauce. There’s something so gratifying about hiking in the beautiful fields and hills surrounding our home and then making lunch from the wild herbs and greens we’ve picked along the way. 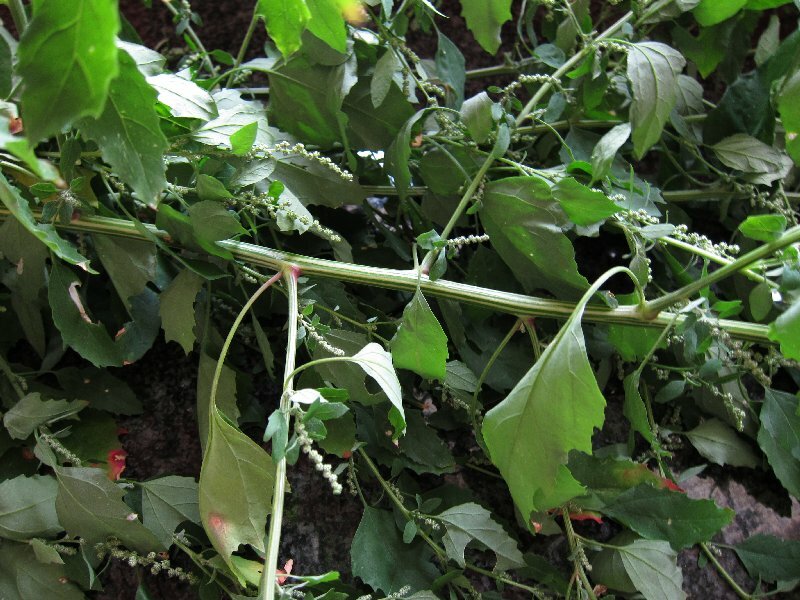 The spinach (Lambsquarter) grows prolifically in the Lazio region, and elsewhere. 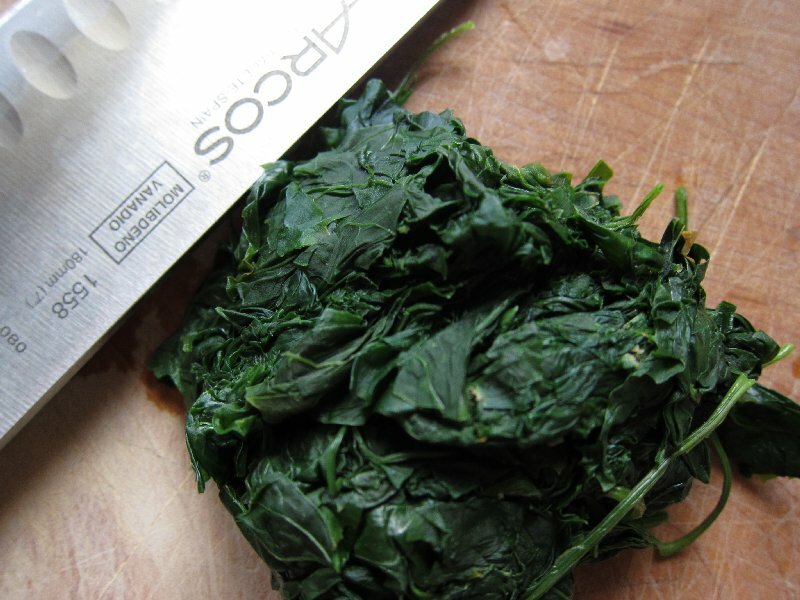 The leaves are very delicate, thin and tender: quite different from cultivated spinach. Once you know what it is and are on the lookout for it you’ll find that it’s just about everywhere you turn your head. 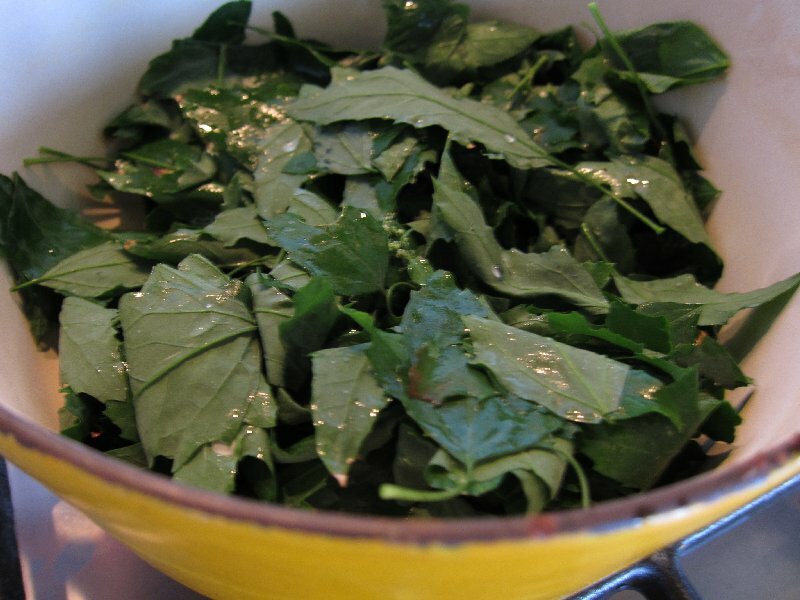 As with cultivated spinach, pick the leaves from the stems and rinse them off. Cook in a covered pan without adding any additional water. The water that clings to the leaves is sufficient. Cook until just wilted and tender, drain and squeeze dry. Chop finely and knead about a quarter of a cup into the pasta dough. Not much remains once the spinach is cooked and squeezed dry so be sure to pick quite a bit. 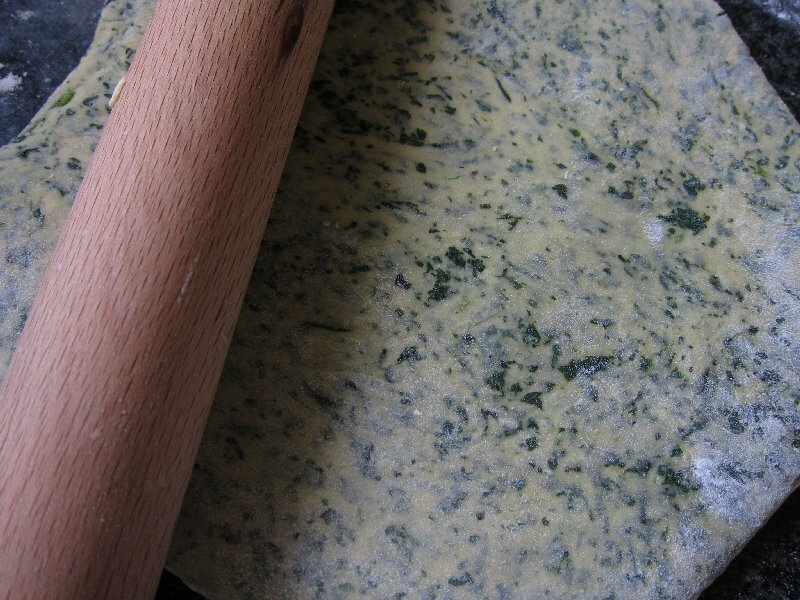 Sometimes I work the greens into the pasta so they’re thoroughly blended and the pasta is a uniform green. Other times, like today, I preferred a less-blended look. I like to see the wild greens that I’ve taken the time to pick.